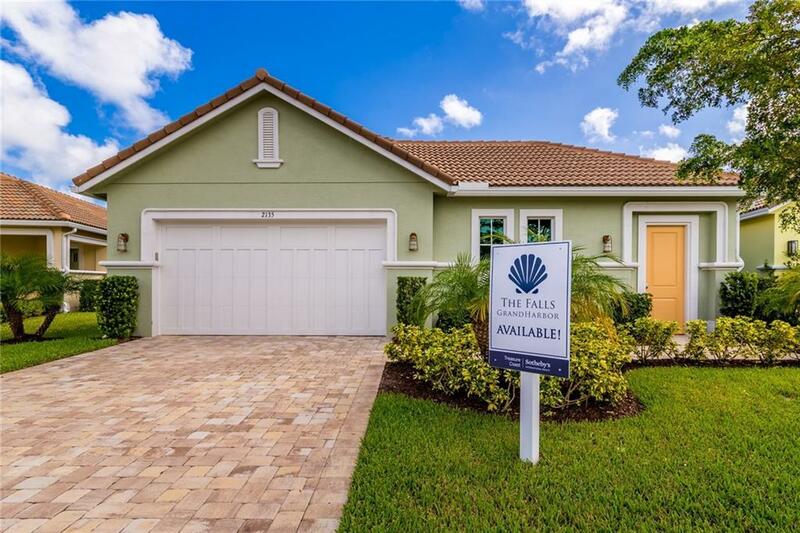 Brand new homes represented exclusively by Treasure Coast Sotheby's and The Reynolds Team offer more than just a place to live, they offer a Grand Lifestyle! 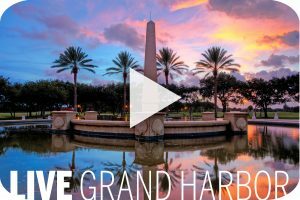 CLICK HERE to watch immersive video exploring the Grand Harbor lifestyle and touring the new communities that we exclusively represent! Grand Harbor is a world-class resort style community located along the Intracoastal on the mainland. The community is comprised of various neighborhoods of condos, townhomes, single family homes and large estate sized homes situated along the golf course or waterside. Waterfront homes are situated near the marina and include a private dock. Easily zip right out to the Intracoastal for a day of boating fun. Grand Harbor Membership has 3 levels: Golf, Tennis and Social. Members can dine in the main clubhouse or beach club and enjoy bocce ball, community pools, walking trails, butterfly garden and more! A wonderful club for both the amateur golfer and the seasoned veteran, Grand Harbor Golf offers two courses that are very different from each other, yet each is challenging in its own way. Work on improving your game at the two practice ranges. Meticulous attention to detail and course maintenance give players impeccable course conditions. The golf club offers an active program of events for Members including two weekly Men’s and Ladies’ Golf Associations, Twilight Couples Events, Member-Guests and Annual Club Championships. The pro shop has everything you need to get out on the course in style. Perfect for tennis lovers of all skillsets, it offers ten superb Har-Tru courts, including two stadium courts as well as the opportunity to improve your game with the help of USPTA Teaching Professionals. Throughout the year, there are special events featuring singles, doubles and team events, as well as competitive tournaments. Grand Harbor fields 4 Men’s and 4 Ladies’ Teams in the Indian River County Tennis Association Leagues which is a perfect blend of social fun and serious competition. They also offer an array of Team Tennis Practices and Clinics. Browse the latest fashions and equipment at the full-service Pro Shop. Click here to visit the Grand Harbor website.